← Weight loss tips before the work Christmas party! Alcohol Awareness Week 2013 urged people to be more vocal regarding alcohol – i.e. start to discuss the health risks and social problems that alcohol causes, and how alcohol is everywhere in society. One year on and this is all still relevant and as important now. 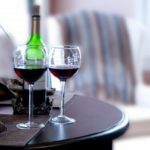 Alcohol misuse costs a staggering £21 billion to UK taxpayers each year, having a massively negative effect on local communities, in addition to having an adverse effect on front line health workers, increases crime rates and disorder, and worsens the look and feel of high streets up and down the country. Drinking also extends its detrimental impact all the way to older people as well as young people, families, children and social services. A wide range of groups are encouraged to get involved in Alcohol Awareness Week, everyone from local authorities and other organisations, to pharmacies and treatment service providers, in order to increase the awareness of any alcohol-related problems and the damage it places upon our health and communities. The awareness week is pioneered by the independent charity Alcohol Concern, a fantastic group of people fully committed in working tirelessly to minimise the harm from alcohol-related issues. The charity operate throughout England and Wales to raise people’s knowledge of the dangers of alcohol abuse and to fight for varied and effective treatment services for those who need it most. One particular effective treatment for alcohol dependency is a medication Medical Specialists® Pharmacy have recently began to supply to suitable patients, being inundated with requests for it. 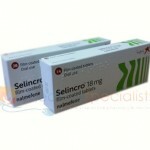 The treatment goes by the name of Selincro. People’s urge to drink is not always fully understood, but may be put down to a wide range of factors. Longer-term problems such as anxiety or depression related to a traumatic event (death, break-up) could be behind sustained alcohol abuse problems. Other people may decide to binge drink on an irregular basis and cite questionable excuses such as ‘the sun is shining’, ‘I’ve just been paid’, ‘I’m not in work tomorrow’, ‘I’ve had a bad day’, or simply ‘for the effect’ due to alcohol having an impact on the central nervous system and inducing feelings of euphoria or a pleasurable release of tension. There has to be better methods for releasing tension or bringing about feelings of euphoria, especially when people are generally losing track of the sheer quantity of alcohol they are putting into their body. It is worth remembering that the NHS recommends that men should not regularly drink more than 3-4 units of alcohol a day, whilst for women the figure stands at just 2-3 units a day at most. Even just drinking slightly and remaining under these limits is still not advised depending on the circumstance. Drinking any alcohol beverage at all is still too much and reckless if you are planning to drive anywhere or operate machinery, and inadvisable if planning to engage in any strenuous physical activity. Alcohol can also have a hugely negative effect on a person’s working life and be difficult for employers to manage, and alcohol in the workplace is something Medical Specialists® have previously discussed. 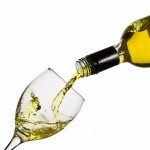 Drinking more than the recommended daily limit on a regular basis can pose serious future health risks. Many people are continuing to consume significantly more than the NHS recommended daily limits without seeing any harms. 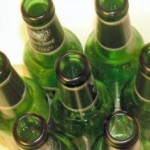 However, the serious hidden harms of alcohol tend to viciously emerge only after a number of years. By this point, the health problems have reached significant levels and it may be too late to rectify the damage. Increased risk of a whole multitude of cancers, liver disease, reduced fertility, high blood pressure, cardiovascular disease are just some of the conditions linked to chronic drinking. Those concerned about their drinking should speak to their GP as soon as possible and not worry that anybody is going to judge them. The GP may decide to assess the level of alcohol misuse, or the assessment could be carried out anyway for those treated with alcohol-related injury or illness. The assessment will normally comprise of multiple screening tests involving a series of questions. It is vital people are fully truthful answering the questions so the GP can provide appropriate treatment. It’s important to remain truthful when answering the questions to receive the appropriate treatment. The GP or the healthcare professional carrying out the tests will not judge you. The common tests administered are usually the Alcohol Use Disorders Identification Test (AUDIT), the Fast Alcohol Screening Test (FAST) and the Severity of Alcohol Dependence Questionnaire (SADQ). 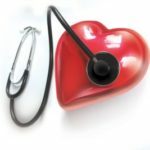 This entry was posted in General Health News, Life Style and tagged alcohol awareness week, alcohol dangers, alcohol dependency treatment, selincro. Bookmark the permalink.